Village Grande Manalapan – an active adult community. 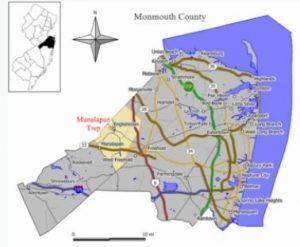 Village Grande is located in Manalapan, Monmouth County, NJ.This is an Active Adult, Over 55 community. Built in 2005, there are 121 homes with 4 different home styles. All homes have garages and many of these homes have basements. The monthly association fee covers the Common Area, Pool Outdoor, Snow Removal, Trash Removal, Rec Facility and Lawn Maintenance. Village Grande also offers The Grande Club, a 4,000 sq. ft. clubhouse. Inside the clubhouse features a fully equipped fitness center, card room, billiard room, lounge/library room, a large multi-purpose room and kitchen. Outdoor activities include swimming, shuffleboard and putting green. For golfers there are 6 private and public golf courses within a 15 minute drive of the community. Public transportation is nearby. There are Park and Ride lots located along Route 9. A twenty minute ride will put you the train station in Matawan or the train station in Princeton. You can take Route 9 to the Garden State Parkway. The New Jersey Turnpike is 15 minutes away at Exit 8 or Exit 8A. To go east or west use Route 33 or Route 195. And the Jersey Shore is less than 40 minutes away. You can also go to the free concerts in Freehold Boro or at Raceway Mall. It’s a great way to spend an evening! Call today to see the active adult community homes for sale in Village Grande, Manalapan NJ.